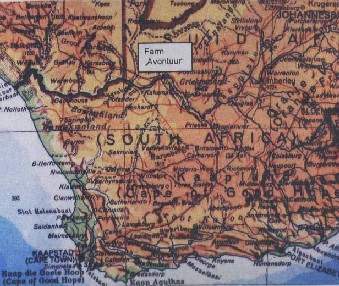 Map showing the position of the farm Avontuur in the Kalahari. 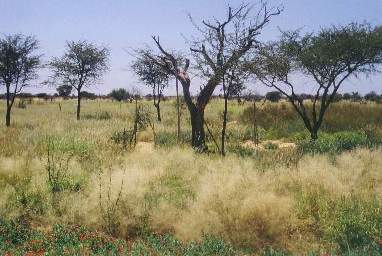 Severe downpours made the Kalahari becoming green. 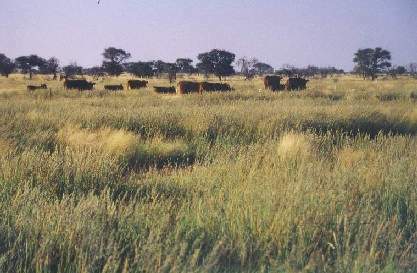 The Scmidtiagrass was not so high in living memory. 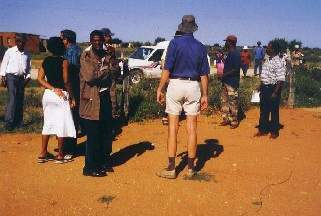 It comes up to the cattle's abdomen. 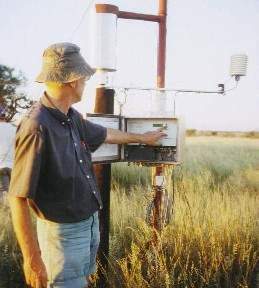 Comparing photo of March 1991 with March 2000 shows the extraordinary rain in 2000. 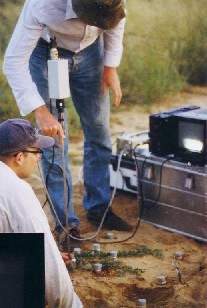 This method allows to determine the photosynthetic activity and hence the vigour of the plant in a non-destructive way. 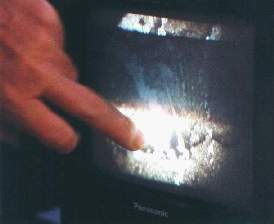 Black farm workers found this "underground television" very exciting. 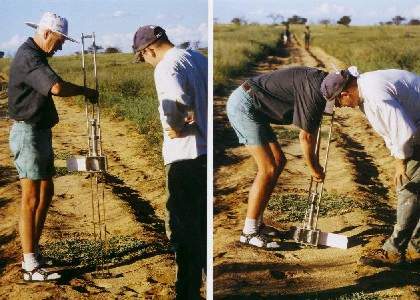 Determination of soil shear strength which is a good measure of soil moisture. 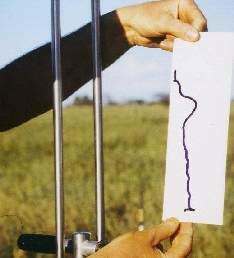 The penetration resistance of the soil is registered on a chart. 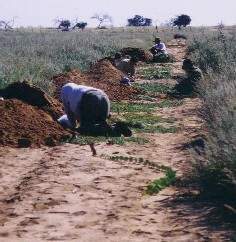 Ecological work often demands "surface near action". Dipl.-Biol. 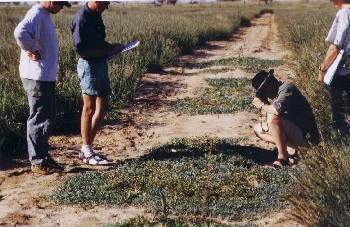 Jörg Sanders, PhD-student of Prof. von Willert, investigates a young Harpagophytum plant. 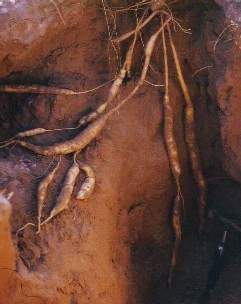 Propagation experiments of Harpagophytum with planted secondary tubers. There is little success. 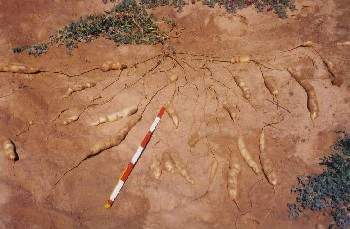 Only 2 out of 100 planted secondary tubers showed growth of roots. 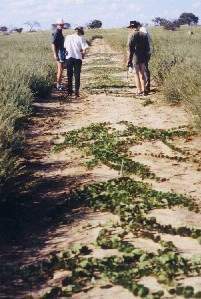 Cultivation by the use of a "Rain-Harvesting-System"
Devil's Claw was planted in vegetation free stripes. 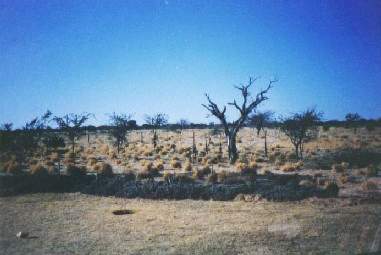 The successful implementation of the method is well documented by the extraordinary well developed green mass of the 18months old plants of Harpagophytum procumbens. 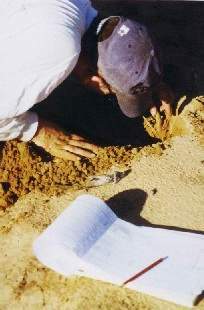 This method can also be used for cultivating other crops like Bauhinia esculenta. "Gold rush mood" amongst the participants of the workshop. 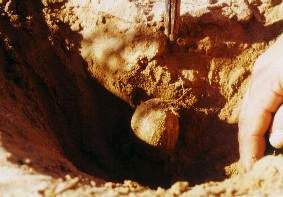 The "dig" was profitable. 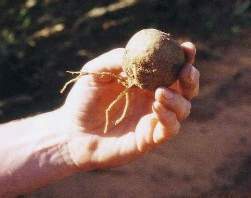 The plant has a great number of secondary tubers developed. 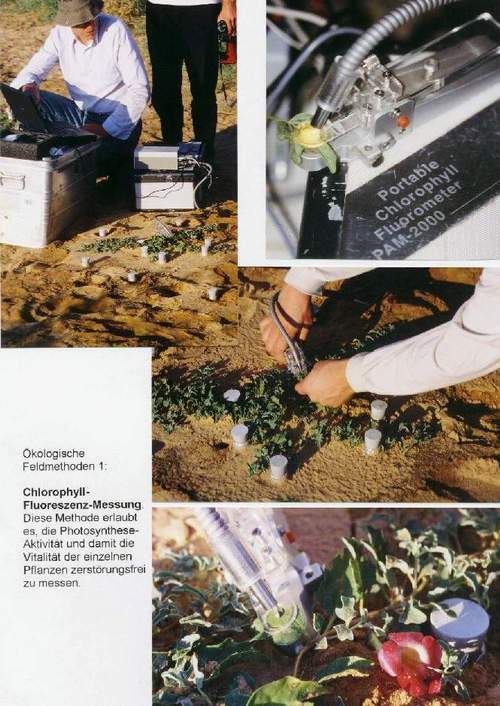 Such small main tubers termed "Münster-Babies" were planted. 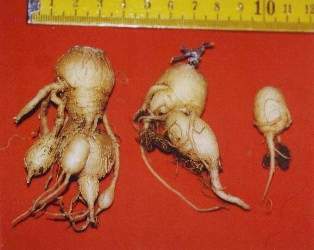 18 Months later these Münster-Babies had developed into plants with many secondary tubers. 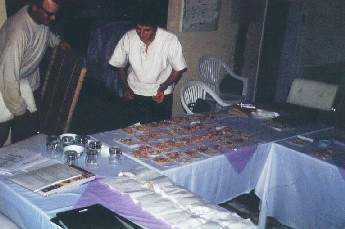 Exact documentation of the results is indispensable. 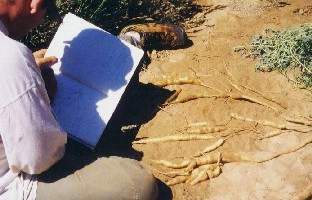 Workshop participants at the preperation of the Devil's Clas tubers. 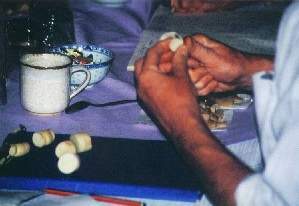 Prof. von Willert has developed a method to peel the secondary tubers. 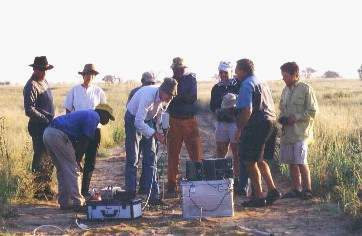 The community Madibeng in the sampling area.